KABC-7 News reports that a young man’s life was taken from him this Friday in Santa Ana when an intoxicated driver left the road and ran the vehicle into a light pole, near MacArthur Boulevard and Bristol Street. A 23-year-old male passenger died, while the other two passengers were severely injured as a result of the crash. The driver was also taken to the hospital, but reportedly did not suffer significant injury himself. 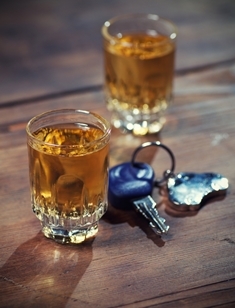 DUI accidents are especially terrible because they often result in dramatic property damage and tragic loss of life—yet they are completely avoidable. By making the simple choice to never, ever get behind the wheel when you’ve been drinking, you can save lives. You won’t just be protecting your own life, either, but also the lives of others on the road or in your car. Friends, family, and loved ones are all at risk if you make the decision to drive while intoxicated. Put away the keys. If you or someone you know is drinking or planning to drink, put together a bin or basket for everybody to put their car keys in. Put the key basket someplace safe and out of the way. Some bars and clubs may even offer to hang on to keys as a public service, so don’t be afraid to ask the bartender or host. Prepare alternate transportation. If you think you’ll have to leave before you sober up, prepare another way to get to your destination before your first drink. Have the numbers of several taxi companies or ride-sharing services in your pocket or programmed into your phone. There may even be a local “safe ride” service available for emergencies, particularly if you’re near a college or university. If you or someone you know is ever injured by a drunk driver in an automobile accident, you’re going to want experienced legal representation to prepare your case. Steinberg Injury Lawyers has been handling accident and injury cases since 1982, and we’re here when you need legal help. Call us anytime for a free consultation at 800-989-6385, or use our online contact form.